Being a professional athlete requires peak physical shape over a long a season. 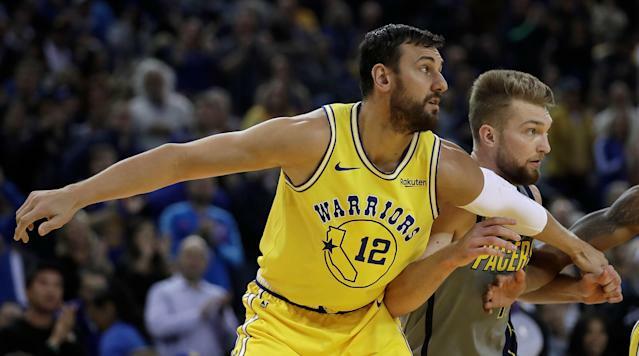 Some athletes go on extreme diets, others like Cam Newton become celibate, but for Warriors center Andrew Bogut, all he did was add a little beer. Speaking to The Athletic, Bogut noted that while playing overseas in Australia he didn’t make any changes other than drinking more beer. The added alcohol has already paid off for Bogut and the Warriors. In a win against the Pistons on Sunday, Bogut had eight points to go along with five rebounds, three assists and three blocks. While the beer may have had a role in Bogut’s rejuvenation, the schedule for Australia’s National Basketball League may have had an even larger role. Prior to signing with the Warriors for the remainder of the season, Bogut played as a member of the Sydney Kings in his native country. Unlike the 82-game schedule in the NBA, the NBL only plays 28 games in a season. Like the NBA, the NBL also begins its season in October, but runs through late February. With just 28 games annually, the season is very spread out, leaving lots of time for rest. In four games this season, the 2015 NBA champion is averaging five points, six rebounds and two assists in 16.3 minutes per game. It’s a far cry from his 2014-15 season when he averaged six points and eight rebounds per game en route to a second-team all-defense honor, but in a stacked Western Conference the Warriors will take all the help they can get.